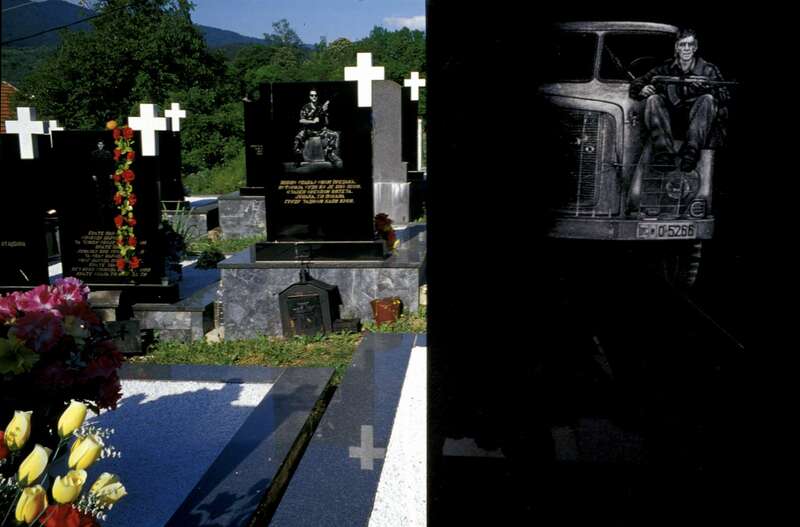 Laser-engraved headstones of Bosnian Serb soldiers who were killed during the war. The cemetery is in Visegrad, in eastern Bosnia, a town where some 2,000 Muslim men and boys were killed by Serbs in the spring of 1992. Eight years after the end of the war, the former Muslim-majority town remains overwhelmingly Serb.